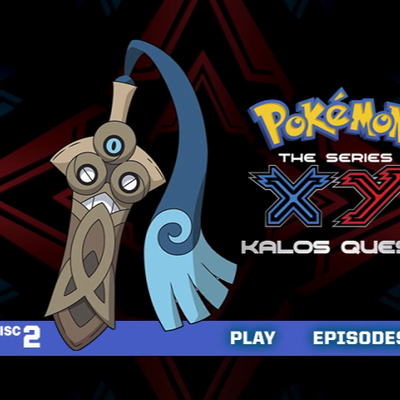 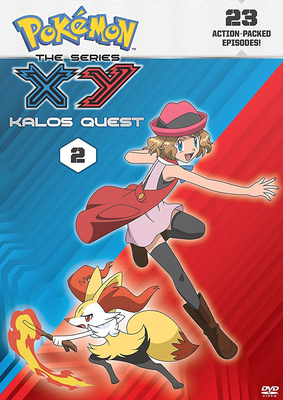 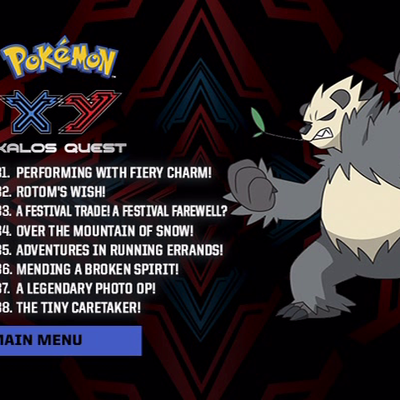 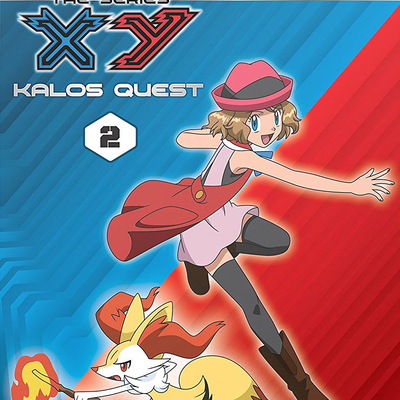 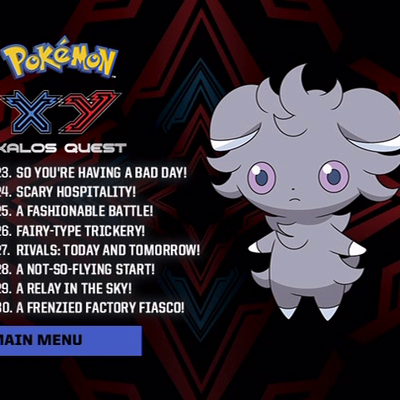 Description Ash and Pikachu, along with their traveling companions Serena, Clemont, and Bonnie, continue their journey through the Kalos region. 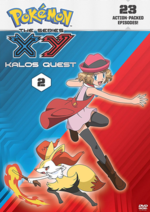 Along the way, they meet Sawyer, an analytical Trainer who develops a friendly rivalry with Ash. 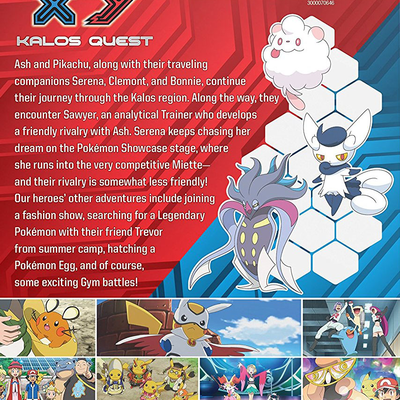 Serena keeps chasing her dream on the Pokémon Showcase stage, where she runs into the very competitive Miette—and their rivalry is somewhat less friendly! 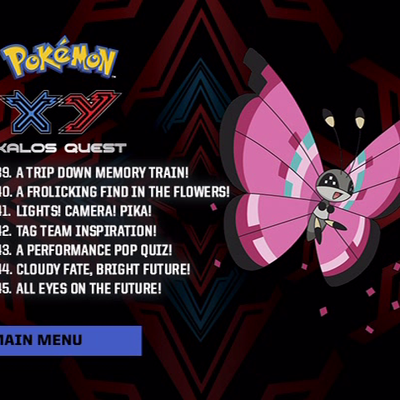 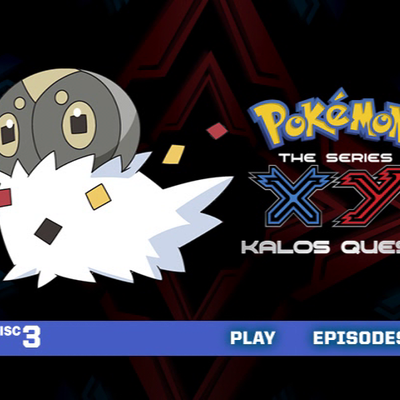 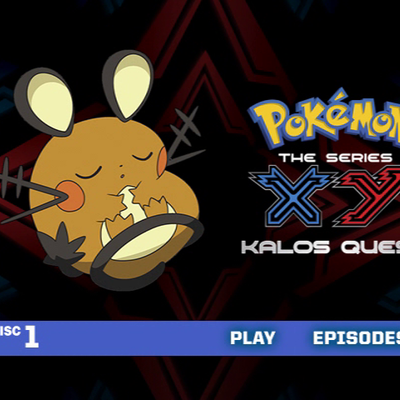 Our heroes’ other adventures include joining a fashion show, searching for a Legendary Pokémon with their friend Trevor from summer camp, hatching a Pokémon Egg, and of course, some exciting Gym battles!